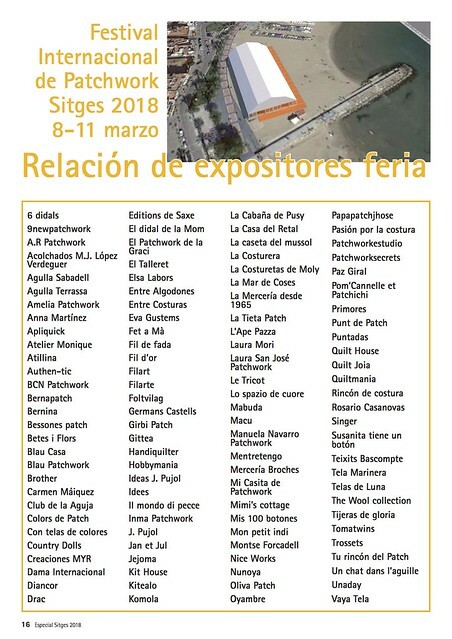 For fourteenth consecutive years the Spanish Patchwork Association (AEP) has been organising the International Patchwork Festival in Sitges. This year the event will take place from the 8-11 March 2018. Over these dates, the general public may view a variety of international exhibitions as well as the AEP exhibition of work that has been submitted by associates who are opting for an award. This year's theme is "El Modernismo en el mundo" (The Modernism in the world). There will be a wholesale fair on the Fragata Beach too, quite closed to the public fair. 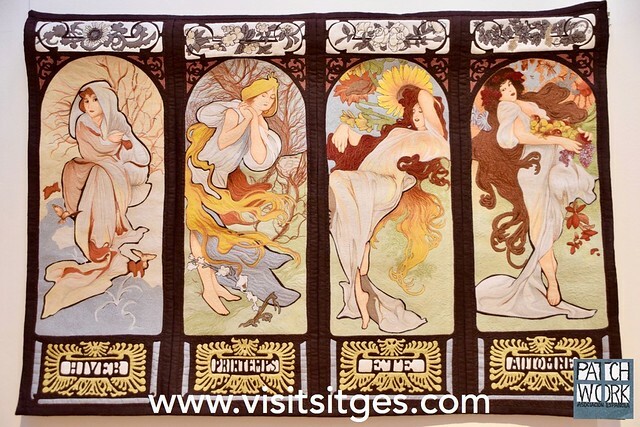 Advance purchase of admission tickets till February 25th (minimum 10 tickets): 9€ Can be requested from the AEP or patchwork shops. 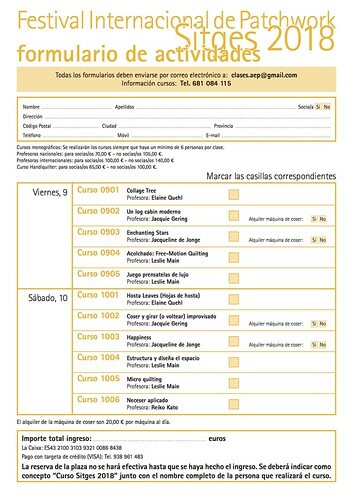 Ticket offices during the event : Edificio Miramar, Casino Prado and AEP booth in the Patchwork Fair. Friday 9th March: 10:00 - 13:00h. & 14:00 - 17:00h. Saturday 10th March: 11:00 - 13:00h. 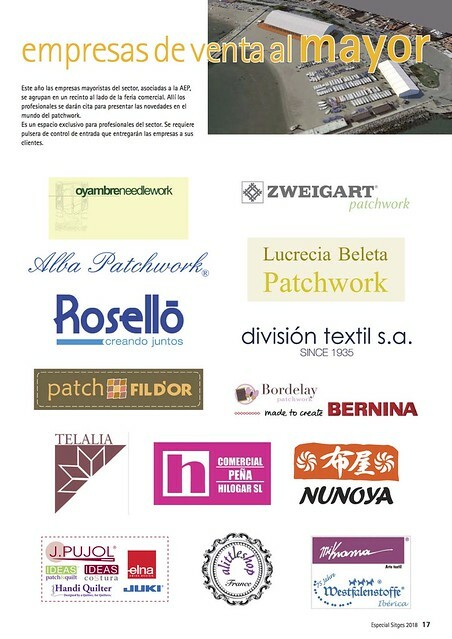 Handiquilter: 10:30 - 13:30h. & 15:30 - 18:30 h.
*Children's workshops free of charge for under 15's. Saturday 10th March: 10:00 - 13:00h. & 16:00 - 18:00h. Sunday 11th March: 11:00 - 13:00h. * Sewing machine rental 20€/machine per day.